The Project Comparator is a useful extension for LabImage 1D. With this tool a cross-project comparison of traces is now possible. Also evaluation of e.g. 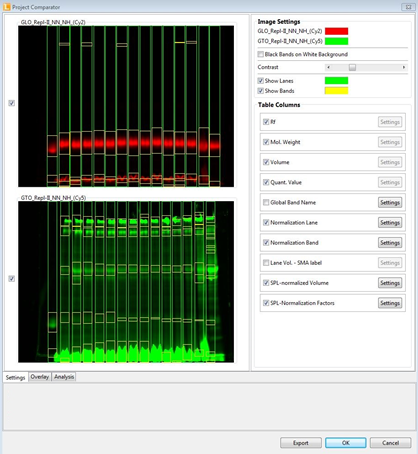 Multi-Channel Western blots is possible within the LabImage software with the Project Comparator. In addition to the analysis of traces of 1D gels the Project Comparator provides the ability to evaluate Western blots on SPL base (Simple protein layer). Another big advantage of the Project comparator: It allows you to perform a total protein determination of your 1D-projects. The Dendrogram is an extension for the LabImage 1D. With its help it is possible to cluster the traces of your gels or blots hierarchically. This cluster analysis is then visually represented with a dendrogram in a tree shape. 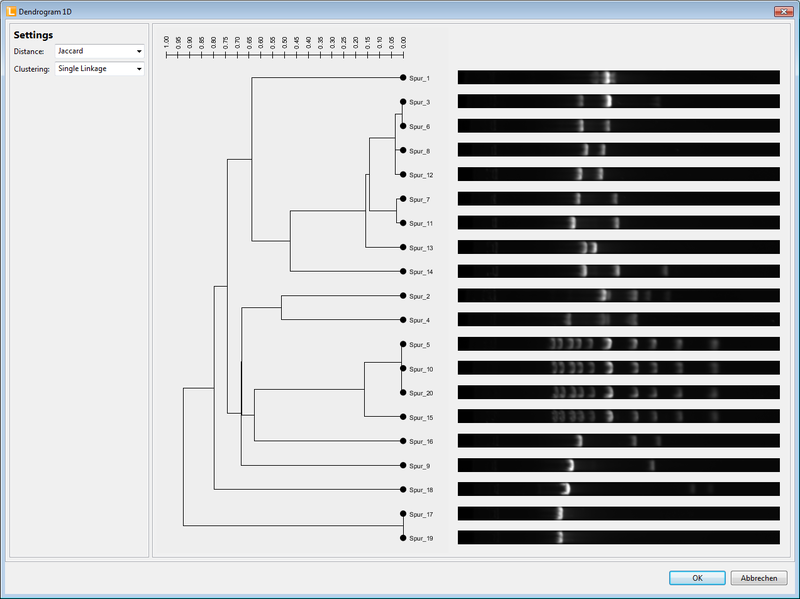 The algorithms of the Dendrogram extension are based on the analysis of RF positions and values of the gel bands. In the basic variant three different distance measures and seven clustering algorithms are offered. You are able to select the right combination for yourselves!